We are one-step ahead of our competitors in manufacturing, exporting and supplying a qualitative range of Freezing Point Apparatus. These are robustly constructed by employing top quality components which are procured from trustworthy vendors of the market. Demands of these devices are increasing owing to their uninterrupted performance, durability and abrasion and corrosion resistance. These are available at reasonable rates. 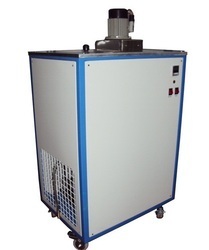 Owing to the presence of our experienced team members, we have been able to manufacture, export and supply a wide range of Cloud and Pour Point Apparatus. With the availability in various technical specifications, these devices are one of the most favoured selections of clients. Our devices are ergonomically engineered under the strict supervision of expert quality controllers to ensure products of 100% defect free range. For measuring cloud and pour point of diesel fuel, jet fuel, finished lubricants, base oil, bright stock, distillate fuel, gas oil, biofuel and biodiesels, black oil, crude oil, engine coolant(antifreeze), PAO and synthetic lubricants, automatic transmission fluids, engine and gear oil. 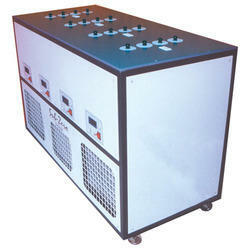 Looking for Freezing Point Apparatus ?